After five years of restoration at the NZ Maritime Museum, Nautilus is ready to take on passengers once more. 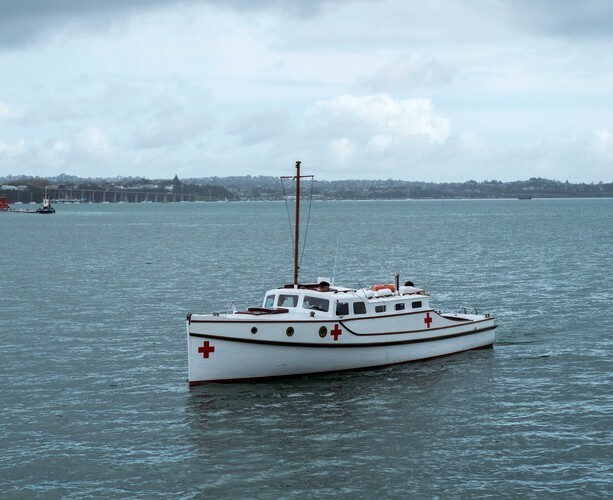 The 103-year-old boat's re-launch into public life will take place as part of the Royal New Zealand Navy's 75th Anniversary. Museum staff will be at the Cloud on Queens Wharf from 10am - 4pm on November 18, 19, and 20th, with Nautilus taking passengers for the first time since her restoration from the Maritime Museum on Sunday the 20th. These trips will be on a first in, first serve and free of charge this day only. She will begin regularly scheduled sailings later in the year. At the Cloud, the museum will host a display about the museum’s living collection of vessels. This includes the incredible story and photographic slideshow of Nautilus and her restoration. Visitors can pretend they are on board Nautilus in days gone by with the photo booth, as well as enjoy family activities and practice skills that would’ve been useful during war times. There will also be special routes on Ted Ashby over the weekend to see some of the visiting ships berthed around the harbour.